Obviously, the Premier League is the most popular football competition, with worldwide exposure and matches broadcast live across every corner of the globe. Due to the size and the popularity of the Premier League, the volumes in betting are very high. As a result, the odds are extremely competitive and attractive. Nevertheless, in the Premier League, there are major differences between the odds of the better bookmakers and the worst bookmakers. Therefore, reading this article is worthwhile, just to ascertain yourself that you are selecting the right bookmaker. This choice can lead to significant higher winnings. 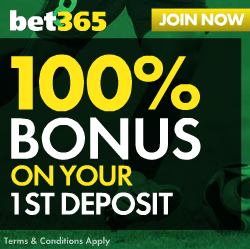 Pinnacle, Bet3000, Betsson, Unibet, 888Sport, Mr Green, Betfred, Totesport, Bet365, Betfair, BetVictor and Nordicbet are the bookmakers with the best odds for 1×2 betting, with payout ratios of around 97%-98%. For the special bets “Both Teams to Score” and “Over/Under” the top bookmakers are: Pinnacle, Betfair and 188Bet (1 day before the match). Unibet and 888Sport are also at the higher end. The chart below is an overview of the average payout percentages of the bookmakers in The Premier League. These are the average payout percentages of 1×2 bets offered 1 day before the match start. The chart below provides an overview of the average payout percentages of the bookmakers offered for LIVE betting. As you can see, the best bookmakers for LIVE betting in The Premier League are Betfred, Totesport and Pinnacle, with an average payout of 96%. The bookmakers with the best odds in the Premier League are clearly Pinnacle and Bet3000 providing odds with payout ratios of 98% or even higher. LIVE betting yields ratios of 96% for Pinnacle. Unibet 95%-98%, LIVE 94%. Odds improve over time and 1-2 days before the match the payout ratio is a whopping 98%. If you bet 3-5 days before the match, payout ratios are around 95% only. 888Sport 95%-98%, LIVE 94%. Odds improve over time and 1-2 days before the match the payout ratio is a whopping 98%. If you bet 3-5 days before the match, payout ratios are around 95% only. Mr Green 95%-98%, LIVE 94%. Odds improve over time and 1-2 days before the match the payout ratio is a whopping 98%. Bet 3-5 days before the match and payout ratios are 95% only. Betfred 95%-98%, LIVE 96%. Odds improve over time. 1-2 days before the match the payout ratio is a whopping 98%. Bet 3-5 days before for worse payout ratios of 95%. Excellent LIVE odds. Totesport 95%-98%, LIVE 96%. Odds improve over time and 1-2 days before the match the payout ratio is an excellent 98%. However, if you bet 3-5 days before the match, payout ratios are only 95%. Excellent LIVE odds. Betfair 94%-98%, LIVE 94%. 1 day before the match or on the day of the match, the odds are spectacular. The right timing makes a huge difference. Bet365 94%-98%, LIVE 94%. 1 day before the match or on the day of the match, the odds are spectacular. The right timing makes a huge difference. Betvictor 97%, LIVE 94%. Excellent odds, but not for LIVE betting with a payout ratio of just 94%. The bookmakers with excellent odds in the German Premier League are Betway, Sportingbet, William Hill. Sportingbet 96%, LIVE 94%. 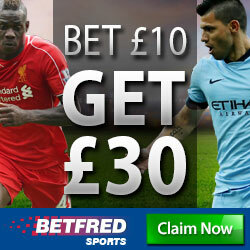 A solid bookmaker offering odds with a payout ratio of 96%, no matter when you place the bet. For LIVE betting Sportingbet offers odds with 94% payout ratio. William Hill 94%-96%, LIVE 94%. Betting on the day of the match or the day before the match gives odds of 96%. Otherwise, these are around 94% only. Boylesports 94%-96%, LIVE 94%. A bookmaker offering reasonable odds. Timing of placing your bet matters. 10Bet 95%-96%, LIVE 94%. A bookmaker offering decent odds. For LIVE betting 10Bet offers a 94% payout ratio. Betsafe 96%-97%, LIVE 94%. A solid bookie with attractive odds. The following bookmakers are average or just below average, offering odds with payout ratios of around 95%: Coral, Krooncasino, Ladbrokes, Mybet, Stan James, SBO Bet, Paddy Power. These bookmakers are not the most appealing bookmakers for the Premier League, and we do not recommend these if you wager higher amounts on Premier League matches or if you play ACCAs. The following bookmakers offer odds with payout ratios consistently lower than 95%: Bet-at-Home, Betonline, Skybet, BWIN. 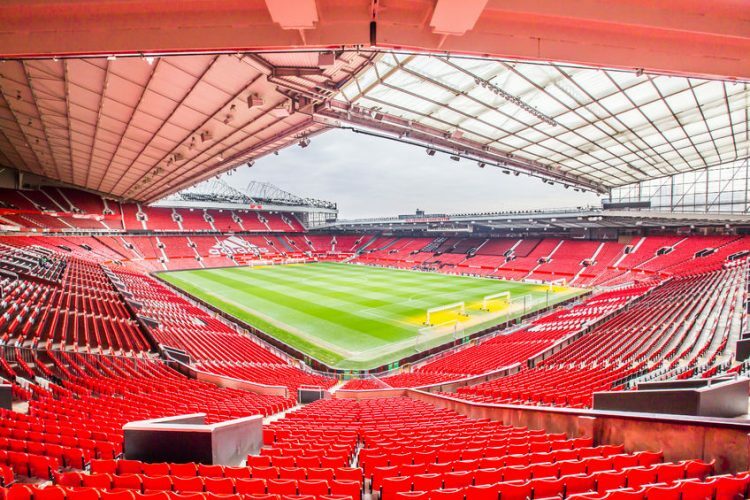 If you are looking to place special bets on The Premier League events, here are some tips on which bookies offer the best odds and what is the optimum moment to place your bet. The best bookmakers for Asian Handicap are 188Bet, Bet365, Betvictor and Pinnacle. These bookmakers offer odds with a payout ratio of 98%. SBOBet, Betfred and Totesport have odds with a very decent payout ratio of 97% (one day before the match). This is a popular bet where the punter has to predict whether the total number of goals is over or under the line (the total number) that has been set by the bookmaker. We see that some bookmakers offer very attractive odds. Pinnacle and 188bet are the bookmakers who offer the most attractive odds, where payout ratios exceed 97% (one day before the match). We recommend Pinnacle as the best choice for the Premier League.